Silverfish are shaped like a flattened carrot and are silver or gray in color. 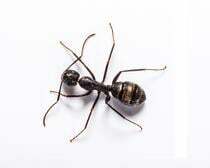 They grow to be between ½and ¾ of an inch long and have three tail-like appendages at the tip of the abdomen. Silverfish are very active at night and can run very quickly. They are usually found in areas with relatively high levels of humidity and moisture, and their flat bodies allow them to live in very tight spaces. Silverfish feed on foods with carbohydrates and proteins, including paper and paste, but they will also eat mold. They are long-lived insects. 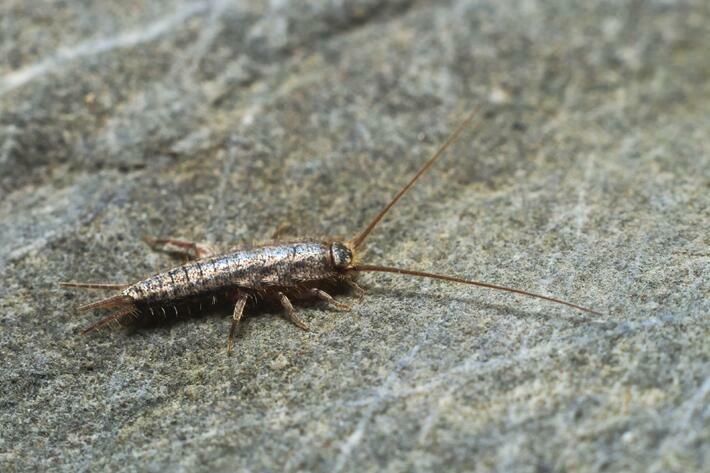 Silverfish find their way in doors while searching for warmth, moisture and food. Once the silverfish have established themselves inside they can live for many years without much food. Why should I be concerned with Silverfish? Silverfish do not cause any harm to humans, but they can cause some damage to paper products, bookbindings, and they can contaminate food. Since silverfish often spend their days hiding it is hard to get rid of an existing population without pesticides. The best way to reduce the silverfish population in a home is to treat areas where silverfish are active (or suspected to be active) and to also treat cracks and crevices. You should try to reduce the environmental elements that appeal to silverfish like moisture and clutter as well. While a silverfish treatment is unlikely to completely eradicate the problem, it will greatly reduce the silverfish population in your home. A trained Cooper technician will make a chemical application to areas where silverfish activity is present or suspected and then perform targeted crack and crevice treatment to reach any of the insects that might be hiding. This service can be preformed as a one-time service or as part of a home maintenance plan. What Do It Yourself (DIY) options are available? You can attempt to reduce silverfish activity (and prevent the likelihood of an infestation) by reducing humidity and moisture levels throughout your home. Reducing clutter and storage of cardboard boxes, and keeping up with maintenance and sanitation will give the silverfish few places to hide and reduce their food sources. 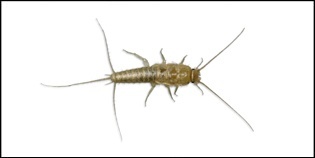 There are many eco-friendly options available for silverfish control. In addition, all products used by Cooper Pest Solutions are EPA registered for pest control use. Our highly trained pest control professionals will follow all appropriate label requirements in an effort to keep pets and humans safe. To prevent silverfish you should make sure that you do all that you can to prevent build up of moisture, humidity, and mold in you home. This can be achieved by keeping up with regular maintenance and sanitation. Reducing the storage of cardboard boxes (which can lead to mold problems) is also helpful. However, it is difficult to eliminate their food sources because they are so disposed to eat paper and glue.